A prominent Jordanian Christian writer and staunch supporter of Syrian President Bashar Assad has been shot dead outside a court in central Amman which indicted him over sharing a cartoon online deemed “offensive” to Islam and Muslims. Nahed Hattar was assassinated in front the Palace of Justice, home to Jordan’s Supreme Court, in Amman on Sunday morning. He was shot three times in the head, according to the Petra news agency. Security officers of Public Security Department (PSD) who were on the scene arrested the gunman and seized his weapon, and took Hattar to a nearby hospital, where he apparently died. — #Alalam (@AlalamChannel) 25 сентября 2016 г. Security authorities said that the assassination is yet to be investigated, but Hattar’s background could possibly add fuel to sectarian strife in a country which evaded 2011 Arab Spring unrest and has a reputation of one of the most secular and pro-Western states throughout the Middle East. Earlier in August, Hattar was charged over sharing a cartoon on his Facebook page. The caricature depicted God in paradise, being treated as a servant by an Arabic-looking man, who is in bed with two women and asking for wine and cashews. 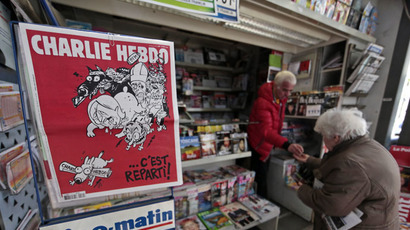 The cartoon, created by an unknown author, sparked fury among many Muslims and was quickly deleted from the page. Later, Saed Hattar, a relative of the writer, said that the cartoon was shared to portray the true nature of Islamic State (IS, formerly ISIS/ISIL) extremists and had nothing to do with insulting other Muslims. Hattar himself tried to explain in one of his subsequent Facebook posts that the cartoon was to illustrate how Islamists perceive notions of God and Heaven. 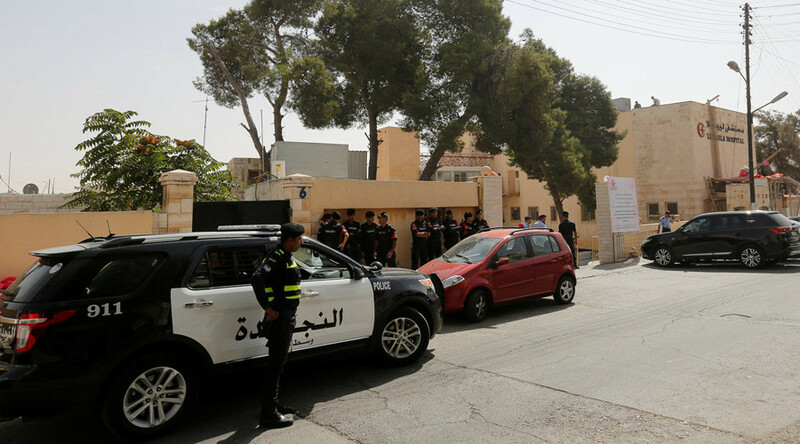 “Those who became angry at the cartoon are the kind of people who did not get the point,” he wrote, according to the Jordan Times, adding that Islamists with an IS-like mindset are employing the cartoon to settle political scores. The explanation did not prove effective, with Jordanian Prime Minister Hani Mulki ordering an investigation. Hattar turned himself in to authorities and spent some time in Amman’s Marka prison pending a probe into inciting ‘sectarian strife and racism’, according to Petra news agency. Jordan is one of the closest allies of Washington in the region and participant of the US-led operation against IS. The tiny kingdom reined by the British-educated King Abdullah II founds itself in a troubled neighborhood, bordering war-torn Syria. Earlier this year, the king said the population has been “at the boiling point” due to the influx of hundreds of thousands refugees to his country. Jordan has been accepting refugees from Palestine and Iraq for decades and now asylum-seekers from Syria make up nearly 20 percent of the country’s population.